The greatest nation in world history is being destroyed, plundered and looted by the premeditated murder of the middle class. This is no accident, mistake or coincidence. This is a purposeful plan. This is the boldest, grandest criminal conspiracy in world history. Although the man at the center of this massive world-class fraud is Barack Obama, there are many moving parts and co-conspirators. These include famous billionaire businessmen, corporate CEOs, the Federal Reserve, Wall Street bankers, central bankers, government employee unions, the Internal Revenue Service, the Environmental Protection Agency, the National Security Agency, the Bar Association, assorted communists and America-haters, and even some well-known D.C. establishment Republicans. It’s quite a shocking list of conspirators. Lies and fraud are at the center of this murder of the middle class. Obama and various big-government politicians need to distract the middle class from their real agenda. Lies are their weapon of mass distraction. So they claim Obamacare is about “saving the sick and uninsured,” when the real objective is income redistribution (through higher taxes and higher premiums) to make the middle class poor and dependent on government. They claim environmental regulations and green energy will save us from global warming, when the real objective is bankrupting the middle class by tripling utility bills, gas bills and grocery bills. They claim immigration reform is about “protecting innocent children,” when the real objective is to create 12 million new low-wage employees in the labor force, depress middle-class wages for generations to come, create 12 million future Democratic voters and assign all of them lawyers at the expense of middle-class taxpayers to enrich the Bar Association, the biggest donor to the Democratic Party. They claim higher taxes are to “create equality,” when the real objective is income redistribution and starving the biggest donors to conservative causes and candidates: small business and the middle class. They claim higher education spending is “for the kids,” when the real objective is enriching teachers unions so they can funnel hundreds of millions of dollars back to Democratic politicians. They claim bailing out General Motors was to “save jobs,” when the real goal was saving bloated pensions for auto union members, whose unions kicked back hundreds of millions of dollars to Democratic politicians. The Fed claims quantitative easing is “to save the economy,” when the real goal was making crony capitalist Warren Buffett $12.7 billion richer last year — while the children and unborn grandchildren of middle-class taxpayers owe back $17 trillion in debt used to fund a fixed craps game on Wall Street. It’s always about lying to cover up the real agenda of murdering the middle class; redistributing wealth; making it impossible for small business to compete with big business; rewarding lobbyists, lawyers and crony capitalists; keeping politicians in office for life; and putting big government in control of our every move. It’s not OK. I was just notified by my health insurance company that my family’s policy has been canceled. When Obama was elected, my bill was $500 per month. Today, it’s $1,700 per month. But now, my family will have no insurance at all because of Obamacare. Tens of millions of middle-class Americans will soon receive the same notice. This is no mistake. This was premeditated fraud upon the middle class. My grocery bills have skyrocketed. How about yours? My electric bills are at all-time highs. How about yours? Gas prices have doubled since Obama became President. How can middle-class people survive without becoming dependent on government? Ah, that’s the point. All this occurs while the economy is in crisis and collapse. The gross domestic product for the first quarter was negative 2.9 percent — one of the worst showings in history — six years after Obama’s trillion-dollar stimulus promised to “save” the economy. That stimulus went to Obama’s voters (the poor) and Obama’s donors (the super rich). But the bill (in the form of debt) goes to the middle class for decades to come. China is set to pass America as the world’s No. 1 economy based on consumer spending this year. It will be the first time since 1872 that America has not been the No. 1 economy in the world. For the first time in history, America’s middle class isn’t No. 1 in the world. Canada’s middle class has passed us. For the first time in American history, more businesses are closing each day than starting up. There are now 70 percent more Americans collecting entitlement checks than working in the private sector (148 million “takers” versus 86 million “makers”), a fact provided by the U.S. Census Bureau. 20 percent of U.S. families don’t have a single member who is employed. Record numbers of Americans are not in the workforce (more than 92 million). The number of working-age Americans without a job increased by about 10 million in Obama’s first five years as President. That means each and every year of Obama’s Presidency, 2 million more Americans disappeared from the workforce. America’s second largest employer is a temp agency. 70 percent of Americans believe we are still in the middle of the economic crisis or that the worst is yet to come. And they are correct. There is no doubt the great American middle class is being murdered. We must have the courage to save the middle class and preserve the American dream. This fight is just getting started. Get informed and join the battle. I hope you’ll read my recently released book, The Murder of the Middle Class. It’s available at any bookstore; or, of course, you can order at Amazon.com today. God bless America and save us from the murder of the middle class. 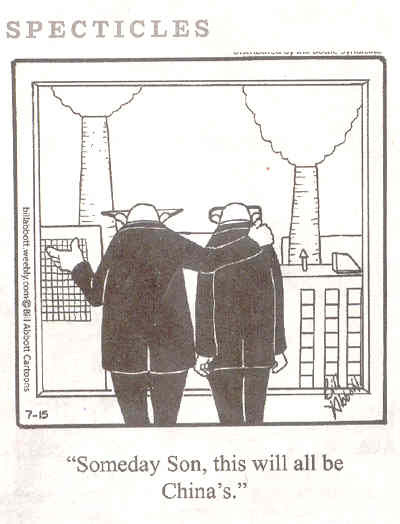 Recent cartoon shows a tycoon standing next to his son with his arm around his son’s shoulders, both looking out at their factories. H.L. Mencken (born 1880 – died 1956) was a journalist, satirist, critic, and Democrat. He wrote this editorial while working for the Baltimore Evening Sun, which appeared in the July 26, 1920 edition. Here’s another obvious difference between the left and right: remember the old adage about “Give a man a fish, and you feed him for a day, but teach him how to fish, and you’ve fed him for a lifetime!”? We are regaled with stories of constant conflict and division. Yet the truth is there is only one battle that matters, only one battle that has ever mattered: the battle between those people who seek to control others and those people who simply wish to be left alone. The “New World Order” is a concept created not in the minds of “conspiracy theorists” but in the minds of those who seek to control others. These are the self-appointed elite who fancy themselves grandly qualified to determine the destiny of every man, woman and child at the expense of individual freedom and self-determination. In this article, I would like to examine the nature of our war with the elite and why their theories on social engineering are illogical, inadequate and, in many cases, malicious and destructive. I have always found it fascinating that while elitists and NWO champions constantly proclaim that morality is relative and that conscience is not inherent, somehow they are the ones who possess the proper definition of the “greater good.” If “good” is in all cases relative, then wouldn’t the “greater good” also be entirely relative? This inconsistency in their reasoning does not seem to stop them from forcing the masses through propaganda or violence to accept their version of better judgment. As many psychologists and anthropologists (including Carl Jung and Steven Pinker) have proven over decades of study, moral compass and conscience are not mere products of environment; they are inborn ideals outside of the realm of environmental influences. The greater good is inherently and intuitively felt by most people. Whether one listens to this voice of conscience is up to the individual. It is no accident that NWO elites end up contradicting themselves by claiming morality to be meaningless while pronouncing their personal morality to be pure. In order to obtain power over others, they must first convince member of the public that they are empty vessels without meaning or direction. They must convince the masses to ignore their inner voice of conscience. Only then will the public sacrifice freedoms to purchase answers they don’t really need from elites who don’t really have them. I don’t claim to know what ideology would make a perfect society, and I certainly don’t know the exact solutions needed to get there. What I do know, though, is that no one else knows either. Whenever anyone takes a stage to announce that only he has the answers to the world’s problems, I cannot help but be suspicious of his motives. Rarely, if ever, do I hear these people suggest that more liberty and more individualism will make a better future. Instead, their solution always entails less freedom, more control and more force in order to mold society towards their vision. The utopia offered by the power elite invariably demands a collectivist mindset that the individual must give up his self-determination and independence so the group can survive and thrive. The problem is no society, culture or collective can exist without the efforts and contributions of individuals. Therefore, the liberty and prosperity of the individual is far more important than the safety or even existence of the group. The elites understand this fact, which is why they do reserve some individuality (for their own tiny circle). No matter the guise presented — whether it be socialism, communism, fascism or some amalgamation of each — the goal is always the same: collectivism and slavery for the masses and unrestrained gluttony for the oligarchs. If your idea of a better society is a good and rational one, you should not need to use force in order to get people to accept it. Only intrinsically destructive ideas require the use of force to frighten the public into compliance. The NWO is an idea that relies entirely on force. Globalization has been consistently sold to us as part of the natural progression of mankind, yet this “natural progression” is always advanced through the use of lies, manipulation, fear and violence. The NWO concept is one of complete centralization, a centralization that cannot be achieved without the use of terror, for who would support the creation of a malicious global power authority unless he was terrorized into doing so? The only morally acceptable use of force is the use of force to defend against attack. As the NWO relentlessly presses forward its attack on our freedoms, we, the defenders, are labeled “violent extremists” if we refuse to go along quietly. The NWO’s dependency on force to promote its values makes it an inherently flawed methodology derived from ignorance and psychopathy, rather than wisdom and truth. As with the use of violence, the use of lies to achieve success automatically poisons whatever good may have been had through one’s efforts. The elites commonly shrug off this logic by convincing each other that there is such a thing as a “noble lie” (both Saul Alinsky and Leo Strauss, the gatekeepers of the false left/right paradigm, promoted the use of “noble lies”) and that the masses need to be misled so that they can be fooled into doing what is best for themselves and the world. This is, of course, a sociopathic game of self-aggrandizement. Lies are rarely, if ever, exploited by people who want to make the lives of other men better; lies are used by people who want to make their own lives better at the expense of others. Add to this the egomaniacal assertion that the elites are lying for “our own good” when they are actually only out to elevate their power, and what you get is a stereotypical abusive relationship on a global scale. Methodologies that have legitimate benefits to mankind deliberately seek truth and do not need to hide behind a veil of misinformation and misdirection. If a methodology requires secrecy, occultism and deceit in order to establish itself in a culture, then it is most likely a negative influence on that culture, not a positive one. Why does humanity need a select elite at all? What purpose does this oligarchy really serve? Is centralized power really as efficient and practical as it is painted to be? Or is it actually a hindrance to mankind and an obstacle in our quest to better ourselves? Champions of the NOW argue that global governance is inevitable and that sovereignty in any form is the cause of all our ills. However, I find when I look back at the finer points of history (the points they don’t teach you in college textbooks), the true cause of most of the world’s ills is obviously the existence of elitist groups. The “efficiency” of centralization is useful only to those at the top of the pyramid, because it generally stands on a vast maze of impassable bureaucracy. It has to. No hyper-condensed authority structure can survive if the citizenry is not made dependent on it. Centralization makes life harder for everyone by removing our ability to provide our own essentials and make our own choices. That is to say, centralization removes all alternative options from the system, until the only easy path left is to bow down to the establishment. I have never seen a solid example of centralization of power resulting in a better society or happier people. I have also never come across a select group of leaders intelligent enough and compassionate enough to oversee and micromanage the intricate workings of the whole of the Earth. There is no use for the elite, so one must ask why we keep them around. Arguing over what should be done about the state of the world is a fruitless endeavor until one considers what should be done about the state of his own life. As long as men are stricken by bias, selfish desire and lack of awareness, they will never be able to determine what is best for other people. The opposing philosophy to the NWO, the philosophy of the Liberty Movement, holds that no one has the right to impose his particular version of a perfect society on anyone else. As soon as someone does, he has committed a grievous attack against individual liberty — an attack that must be answered. Our answer is simply that the people who want to control others be removed from positions of control and that the people who want to be left alone just be left alone. Association and participation should always be voluntary; otherwise, society loses value. This is not anarchy in the sense that consequence is removed. Rather, the rights of the individual become paramount; and the liberties of the one take precedence over the ever vaporous demands of some abstract group. The only reason for any government to exist is to safeguard individual freedom. Period. The original intent of America’s Founding Fathers was to establish a Nation that fostered this ideal. When government or oligarchy steps outside the bounds of this mandate, it is no longer providing the service it was originally designed for; and it must be dismantled. Unfortunately, it is a universal rule that uncompromising tyranny must often be met with uncompromising revolution. When a new system arises that cannibalizes the old, enslaves our future, uses aggression against us and mutilates our founding principles in the name of arbitrary progress, that new system must be defied and ultimately destroyed. The NWO ideology represents one of the most egregious crimes against humanity of all time, posing in drag as our greatest hope. It is based, fundamentally, on everything that makes life terrible for the common man and everything our inherent conscience fights against. We would be far better served as a species if we were to turn our back on the NWO altogether and move swiftly in the opposite direction. Imagine what tomorrow would be like if there were no controllers, no statists, no despots and no philosopher kings. Imagine a tomorrow where people respect the natural-born rights of others. Imagine a tomorrow where people’s irrational fears are not allowed to inhibit other people’s freedoms. Imagine a tomorrow where interactions between citizens and government are rare or nonexistent. Imagine if we could live our days in peace, independently building our own destinies, in which our successes and failures are our own, rather than the property of the collective. It may not be a perfect world, or a utopia, but I suspect it would be a much better place than we live in today. Tsk tsk, Brandon – such pessimism! I actually DO know what ideology will make a perfect society, and I also have the (quite simple) solution needed to get us all there: EDUCATION. Only lying thieves (fraud being the most basic form of theft, the theft of the Truth) slanderously pretend their victims are too dumb to be educated! The “elites” are cowardly masochists who always want to form ever-larger gangs to protect them selves; they are all about the double-standards of subjectivism, and so oppose universal objectivity; they want rights without responsibilities, and so must offload their responsibilities onto their victims. The reason they embrace might-made group “rights,” is both offensive and defensive: they can always assert they are “defensively protecting” others if and when they can make even a tenuous connection between some others at least somewhat similar to them selves who, somewhere else, at some other time, were oppressed by some other people who were sort of like YOU; in which case, YOU OWE THEM! This is why their modus operandi is to pretend the ends justify the means (but only for them selves, of course). All attack-first prone “progressive” criminals, who feel entitled to have rights (like, to your stuff) without responsibilities (like, having earned or paid for them,) pretend to believe that the ends justify the means, when in fact the means really only ever define the end results: If and when you choose to lie, murder and rob others “to get ahead,” then, in the end, you’re not a “great success” – you’re still really only a lying, murdering thief! In order to justify their masochistic choice to attempt to ‘control’ their fears by embracing the very pains which cause them (BY causing their worst-case scenarios them selves) they must objectify their victims as helpless and so also potentially dangerous mistakes, first: those who must be controlled, because they are too stupid to serve their masters willingly. And so, they also posit, their victims certainly can’t be educated, so they must be tricked and forced! The difference being that the first OBJECTIVELY asserts that, between two or more humans (and so also all “groups” of individual humans) one can do nothing either TO, of FOR, an other, without first getting that other’s specific consent. – Muhammad – (just for instance)! … our only real right is to not be attacked first, and our only real concommitant corollary responsibility is to not attack (thereby innocent) others first. Defensively counter-attacking second is always moral and is in fact the most obvious basic requirement for the existance of any true Justice in the world. Government, (best conceived of by Albert Einstein as the largest collectively-owned insurance company) is a great idea if and when it doesn’t compete with (much less pre-empt) private enterprise; it’s OK for the government to buy food to feed the poor, but not to demand that only it is qualified to regulate food growing everywhere, much less to restrict and deny private individuals from growing or stockpiling their own food. Same goes for defending every other need: government can defend the country, but not restrict the citizens’ rights to also own and bear their own arms to defend them selves; government can and should enhance private defense, but never replace it! Even “government” or “the state” as being merely the largest group (of individual humans) has no right to attack any of its real live individual human citizen component parts first, which is why we have “Innocent Until Proven Guilty” in stead of (as collectivist liberal statist extortionist gangsters prefer) the “Guilty Until Never Proven Innocent” opposite. I was lucky to have downloaded the copy Vimeo had up before they crapped their diapers and took it down again. Same for the cowards over at ScrewYouTube. This is the second half of a two-part commentary. The first part, Understanding The Globalist Strategy, was published July 1. In searching for a common enemy against whom we can unite, we came up with the idea that pollution, the threat of global warming, water shortages, famine and the like, would fit the bill. In their totality and their interactions these phenomena do constitute a common thread which must be confronted by everyone together. But in designating these dangers as the enemy, we fall into the trap, which we have already warned readers about, namely mistaking symptoms for causes. All these dangers are caused by human intervention in natural processes, and it is only through changed attitudes and behavior that they can be overcome. The real enemy then is humanity itself. Globalists saw great opportunity in the rise of the environmentalist movement and have co-opted legitimate concerns with fraudulent puppet causes. When dealing with hundreds of global warming advocates over the years, I have always asked one question that none of them has been able to answer: Where is the source data to prove your theories are valid? They never had an answer because major climate research organizations have always refused to release their source data to the public. Today, we now know that they wouldn’t release such data because all of their models were deliberately manipulated to show the Earth was warming, when in fact, it has actually been cooling for the past century. Peak oil, yet another scam, has not produced a single piece of hard data proving that oil production is diminishing, that oil production is becoming more expensive due to more difficult drilling or that demand for oil anywhere in the world is not being met due to lack of supply. No source data means the entire argument for peak oil is based on faith in organizations like The Energy Trap, a peak oil propaganda machine funded by the New American Foundation and the Rockefeller Foundation; both are globalist institutions. The solution to these made-up environment and resource problems is, of course, to do what the globalists have always wanted to do: reduce world population, restrict resource usage, control the average citizen’s means of self-sustainment and force the remaining populace into tightly focused communities where energy, food and shelter are rationed. Marxism and socialism are simply philosophical reworkings of the collectivist ideology. 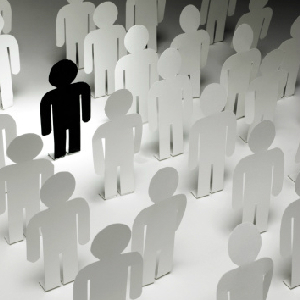 Collectivism places the “needs” of the group or society over the freedoms and prosperity of the individual. Globalists often proclaim a benevolent desire to “save humanity from itself” through the use of collectivist concepts such as interdependency. Interdependency is the process of removing the self-reliance of individual people, sovereign communities or sovereign nations and making them subservient to the machinations of a complex supply chain dominated by a central authority. The argument is that through this centralized supply chain, “equality” can be achieved and suffering can be removed. But historic examples of centralization show this to be an absurd notion. Every fascist or communist regime, when selling itself to the public, has offered grand visions of floating cities in the clouds, where resources are infinite and no one will have to exert effort to gain success. A person’s success is “guaranteed” by the establishment, which has the “wisdom” to manage all resources in a magical way using the almighty power of technology. Obviously, no collectivist system has ever followed through on this promise, and I dare say no collectivist system ever will. Globalists argue violently against the concept of the free market because a true free market is the antithesis to the collectivist con that centralization brings prosperity. If individuals can bring prosperity to themselves and others without the oligarchy, then why have an oligarchy at all? When left to operate freely, supply and demand tend to gravitate toward the simplest and most efficient systems. However, we have not lived under a free market system for at least 100 years. Instead, we have existed under the encroachment of growing socialism and globalization, which have destroyed our Nation’s capacity for fiscal flexibility and redundancy. Interdependency serves no practical purpose in the progress of mankind; its only logical purpose is to trap the masses in a manipulated supply and demand cycle which, in the end, creates a “zero growth” world. This is what globalists mean when they talk about “economic harmonization.” They are building an economic framework that prohibits progress and prosperity for the sake of some arbitrary equality, an equality that only serves their desire to micromanage the life of every human being. As the globalist establishment moves closer to its end game, it will invariably unleash a frenetic storm of distractions and catastrophes. In the past two years alone, events in the Mideast, Ukraine and the South Pacific have set the stage for any number of conflicts between the East and West; and this is completely by design. Some of these triggers will prove unsuccessful, and other will prove effective. I expect multiple “terrorist attacks” (false flag events) in the near term, along with plummeting economic conditions. The purpose is to bewilder the general public to the point that no rational insight can be attained, and fear sets in. In other words, the citizenry must be adequately tenderized before seasoning. … when the struggle seems to be drifting definitely towards a world social democracy, there may still be very great delays and disappointments before it becomes an efficient and beneficent world system. Countless people… will hate the new world order… and will die protesting against it. When we attempt to estimate its promise we have to bear in mind the distress of a generation or so of malcontents, many of them quite gallant and graceful-looking people. Recently, the Bank of International Settlements released a report citing “concerns” over the health of the global economy along with warnings that equities markets have become detached from fundamental realities. The report goes on to insinuate that the easy money policies of central banks have actually been contributing to a disjointed bubble economy, and the BIS warns that this could develop into volatile financial disruption (market crash). In the meantime, mainstream media outlets like Reuters have begun publishing articles that warn that there is, in fact, the threat of a new world war between the East and the West, despite economic ties. That’s right; the same people who used to admonish us as “doom mongers” for suggesting that the East would ever oppose the West economically or militarily are now suddenly comparing our current geopolitical situation to the lead up of World War I. And what has caused it all according to globalist mouthpiece Reuters? National sovereignty and resource division, of course. The ending to this story is clearly written, at least in the eyes of the elite. Collapse and conflagration will result in a violent state of social misery, which the globalists will allow to swelter until they deem it timely to introduce themselves as saviors. Their solution, predictably, will include the end of self-governing nations, communities and individuals, along with the centralized administration of all vital resources in the name of the “greater good,” the definition of which they will have predetermined. Personal freedoms will fall by the wayside, as survivors of the Third World nightmare will be happy just to live meagerly on the scraps off the table of the oligarchs. It sounds like a childish fantasy, the ambition of a psychotic with visions of deification; however, as long as the common man refuses to accept that such psychotics have the fortitude to organize and conspire, this vision could indeed become a reality. Since the education system, like the enemedia, has been deliberately engineered or designed to ask only all the wrong questions all the time, the outcome seems certain. What’s a “conspiracy theory” again? Oh, right – it’s a speculative observation about an ORGANIZED CRIME. SO, if anyone wants to pretend that, by default, all “conspiracy theories” are wrong, then they might as well also say that NO ORGANIZED CRIMINALS EXIST, and THERE HAVE NEVER BEEN ANY ORGANIZED CRIMES, either. But in fact, since by definition ALL crimes must be “organized” (there must be mens res – “guilty mind” – criminal INTENT behind them,) then EVERY criminal has ALWAYS “conspired” with at least them selves, simply by planning their crimes in advance, in order to commit them! Besides which: even paranoids can have real enemies, of course, and, if you aren’t paranoid yet, then you simply haven’t been paying enough attention! Western people won’t educate them *selves* about crime because our own gangster culture encourages us all to idolatrously defer all individual thinking to those “authorities” we PAY to do our thinking and research for us! And they secretly know full-well that the salesmen in charge will always sell us all out! The treasonous enemedia presstitutes should be the first to go, for selling out our children’s futures in order to save only their own worthless cowardly skins. And when they lie, presenting their fact-free opinions AS FACT, any and all so-called ‘politicians’ are committing the crime of fraud to enable all these corporazi murders other crimes as well! Since globalization destroys all sovereign national governments, it’s treason. And fomenting it is sedition. And it’s always all about the money, and the illusion of control over others it brings. Many wrongs won’t make any of them into rights. Why this globalization and “amnesty” scheme now? Cui bono? Actually and factually: The USA still has one of the LOWEST corporate tax rates on the planet. And even if corporate taxes were set to ZERO, since their own corporate-made law says they are only beholden to their bottom lines, they would STILL try to cut costs by downsizing and outsourcing our jobs here to their 3rd-world slave-pens over there (and by bringing their 3rd-world slaves over here, too)! No jobs here = no taxes here = no government here (which is why it keeps buying China’s money) = no country here = welcome to the globalized plutocracy – treason to all national sovereignties! Who do you think keeps pushing the multi-culti agenda? Who keeps insisting that it’s our duty not to be meanies by importing tons of primitive, non-White moslem savages, because somehow they’re all poor oppressed People Of Color refugees? Who keeps pretending they’re a “minority,” when in fact, worldwide, Blacks and Whites are on par?! It’s the banksters at the top of that corporate heap, and the oil-barons beneath them who hold all the other corporate gangs hostage to their ‘products!’ Besides, some oilmen own banks, and some banks own oil companies. There is a trap in the mind of the average person, like a steel box or a great wall, which prevents him from rationally considering the premise of organized evil. For one reason or another, it is far easier for him to process the darker actions of men and governments as random consequence, as merely a symptom of wild greed, ignorance, stupidity, miscalculation, jealousy and confusion. Destructive tendencies and institutions are seen as nothing more than a chaotic afterthought of the self-centered human ego. Our ailing society is viewed as a victim of its own malicious nature, a self-deprecating edifice. In the minds of the unaware and uneducated, the world is a cannibalistic beast, rather than the crippled victim of a foreign parasite. This mentality is a product not only of naivety, but of fear. If people fear anything more than death, it is the idea that the reality they have always known is just a thin veneer, a deceptively simple wallpaper covering something eternally complex and potentially horrifying. The common mind is not prepared to handle the unrecognizable. Normalcy bias becomes god, and blind assumption becomes truth. It is in this vast fog of the unrecognizable that a cabal of power cultists thrive, a cabal that many people in our culture refuse to believe exists. If you do not understand that this directed and organized effort exists, then you cannot possibly comprehend why global events happen the way they do. If you really believe all tragedy and so-called triumph is random, then you become nothing but debris in the wake of a massive tsunami of time and tide. For the most part, the overwhelming firestorms of history are nothing more than plot points in a carefully crafted screenplay. If you know how the writers of our global theater think, then it becomes much easier to predict how they intend our story to progress. Even the tales of “philosopher kings” become contrived as they attempt to force an obsessive narrative. These men (and women) are not necessarily ingenious. They don’t have to be. They are born into a world of stolen wealth and philosophical nepotism, and they are bound together by fear as much as zealotry. They are a hive of insects who believe themselves to be gods. And though deluded by their own hubris, such organized malevolence is still a terrible force to be reckoned with. Here are just a few of the strategic methods they commonly use to survive, thrive and keep the masses in the dark. It must not be felt that these heads of the world’s chief central banks were themselves substantive powers in world finance. They were not. Rather they were the technicians and agents of the dominant investment bankers of their own countries, who had raised them up and were perfectly capable of throwing them down. The substantive financial powers of the world were in the hands of these investment bankers (also called “international” or “merchant” bankers) who remained largely behind the scenes in their own unincorporated private banks. These formed a system of international cooperation and national dominance which was more private, more powerful, and more secret than that of their agents in the central banks. Labels and titles are often designed to deceive. The insidious lie that many people, including some in the liberty movement, have been led to believe is that a concrete separation exists among international bankers along the lines of nationality. I find it fascinating that some otherwise insightful researchers still cannot grasp the fact that there is no distinction between different central banks or globalists acting within various governments. All central banks are front organizations for private international banks. All central banks act in concert with each other. All central banks are centrally tied to the International Monetary Fund and the Bank of International Settlements. This includes the central banks in countries like China and Russia. Any country infested with a central bank is dominated by that central bank and, thus, dominated by globalists. If Vladimir Putin, for instance, were actually opposed to the corruption of international banking cartels (as he is often painted to be), then he would have abolished Russia central bank long ago and cut off ties with the IMF and BIS. Instead, Putin continues to promote centralization under the IMF and the use of the IMF’s world currency, the Special Drawing Rights (SDR). The globalists are known by many names under many institutions. They hide behind such fronts in order to confuse and distract the curious, while conjuring false paradigm conflicts like that brewing between the East and West today. I’ll bet that within the next hundred years (I’m giving the world time for setbacks and myself time to be out of the betting game, just in case I lose this one), nationhood as we know it will be obsolete; all states will recognize a single, global authority. … perhaps national sovereignty wasn’t such a great idea after all. I cannot stress this point enough: Globalists do not possess a sense of loyalty to any one nation or culture. International bankers see countries and societies as tools with limited usefulness. The usefulness of the U.S. for instance, is now ending. That’s why a vast shift in the global economy is taking place, which will end the dollar’s reserve status and the American financial system in the process. There are no “American” globalists or “Chinese” globalists. They are all members of the same banking establishment with the same goal: to end all sovereignty and construct world economy as well as world government. Globalists use national affiliations to create international wars and fiscal calamities that can be exploited to further centralize power under a single authority, which they hope the peoples of the world will accept without question. Whether cold wars or hot wars, what we are told about the motivations behind international conflicts is almost always untrue. Wars are not fought over resources. They are not fought over territories. They are not fought over assassinations, dictatorial conquests or human rights abuses. If you believe that Libya was about freedom, Iraq was about oil, Vietnam was about the spread of communism or that the Civil War was about slavery, then you have bought into the facade hook, line and sinker. There are hundreds of excuses for war. But in the end, all wars — save the ever so rare revolutions of common people — are triggered deliberately in order to achieve psychological transformation. War and economic collapse are the two faster methods to achieve full spectrum change in a society’s principles and loyalties. War allows for the trampling of freedoms, the accumulation of wealth and political authority, the destabilization of the average person’s means of survival and the desperation of the population, leading to the centralization of control in the name of safety and security. Governments do not wage wars against each other; they wage wars against their own citizens. Editor’s note: This is the first of a two-part article. Part 2 will be published July 8. Typical leftist / criminal “ends-justify-means” (since people can be manipulatged, so they should be manipulated – but only by us, and all for their own good, of course!) self-delusion. But in reality, the ‘ends-justify-means’ meme only applies to self-defense, not to criminal extortion, where the means really only ever define the end results – if one lies, murders, and otherwise steals to get ahead, in the end, one is not a great success, but has only defined one’s self as a lying, murdering thief. 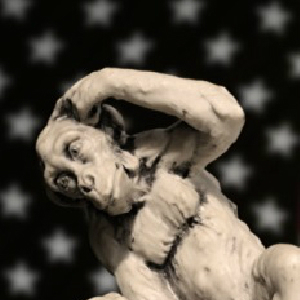 Unfortunately, one of the fallacies still held about the nature of our governmental system is that mistake made by Montesquieu who thought there was some sort of “balance of powers” or “checks and balances” in the division of powers between the Executive, Legislative and Judiciary functions of government: he was dead wrong, as even Aristotle had pointed out over 1,000 years before him: these are merely temporal orientations or points-of-view: the forensic Judiciary only looks to the past, the Legislature only looks to the future, while only the Executive is free to rampage in realtime here in the present … none of them pays the others the slightest notice, much less checks nor balances each others’ powers. It’s the idolatrous political “party” system itself which permits our otherwise public SERVANTS to indulge them selves in interest-conflicted divided loyalties, and so to metaphorically slip from the tethers of oversite we should be keeping them on. Unless we eliminate political parties, the salesmen in government will destroy the country. Politicians don’t represent the people – they only represent their parties. And their parties only represent those who pay them – who happen to be the exact same people for each party. So ALL politicians are only treasonous sales-puppets, foisted on us by their corporazi sales-masters. Their real job is to sell us all out by selling off our country to the highest bidders – usually by buying our enemies’ money to fund their own pet projects. The faster the turnover (more sales per minute) the more quick profits, even at low-low fire-sales prices. It’s a race to the bottom. There’s a simple solution to all this: simply make it illegal to fund political parties’ ad campaigns. After all, it’s supposedly already illegal to bribe or otherwise influence any politician with money – which is exactly what these loyalty-dividing, interest-conflicting parties them selves do, isn’t it? We’ve got the Internet – each candidate applicant can simply put their platform proposals up online, for free – so why do they need ad money? Who needs debates? Debates only let the most gliberal salesmen talk over each other for heckling points! Just get them to comment on each others’ platforms on their (government-owned-and-monitored) websites. That would force them to co-operate and put it all down in writing, too! So, let’s just FIX DEMOCRACY! And here’s how: If we just hold 2 quick, back-to-back elections each time (the first, as usual, to hire the worker’s pool of our Public SERVANTS from our districts, and the second where WE ALL appoint them DIRECTLY to their cabinet portfolio positions) then we eliminate their self-interested conflicts of loyalty-dividing political “parties,” (which always only “party” at our direct expense, anyway,) forever! The Constitution makes it illegal for the government to do anything either TO you or FOR you without your express permission. But politicians are fear -mongers who always assume that, IF something COULD happen, then it WILL happen, SO they’d better stop all of us “criminal” serfs by “pre-emptively, defensively” attacking us all first, but, since it will also be FOR our own good, they feel they can do whatever they want TO us first. You are currently browsing the Vladdi's Blog blog archives for July, 2014.